For a limited time, you can get, LG G3, Metallic Black, AT&T , for $299. The upfront cost is $399, and you will receive a $100 Amazon credit after purchasing the phone (after 2 weeks). 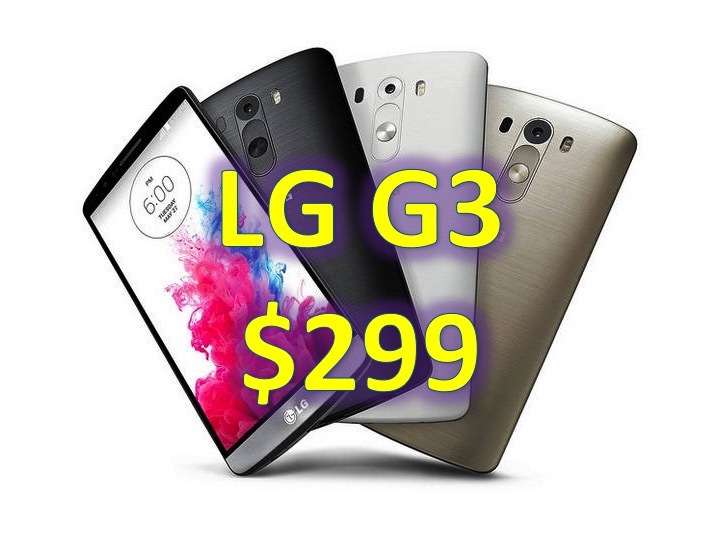 If you’re in the market for a LG G3, this is a great deal! The LG G3 is one of our favorite phones. With a 5.5 inch display, packing 538 ppi, 13 MP camera, Qualcomm Snapdragon 801, 3GB of RAM, 32GB of onboard storage, expandable up to 128GB with a microSD, this phone is one of the top flagship phones out there! To learn more, click on this link, select without a service plan and check out! You can also use this phone on prepaid variants of AT&T, 420 Wireless (seriously), Cricket Wireless, H2O Wireless, Straight Talk and more! What do you think? Is $299 a great deal? Or is the Amazon gift card a dealbreaker?